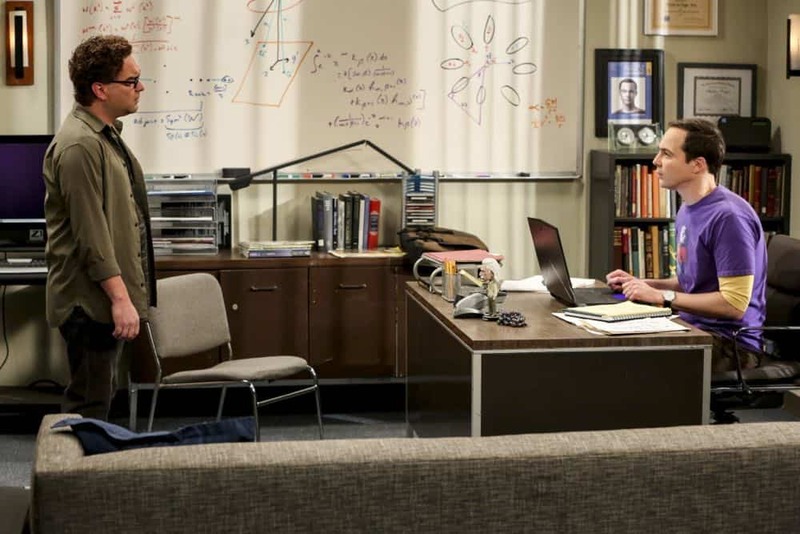 THE BIG BANG THEORY Season 12 Episode 4 Photos The Tam Turbulence – “The Tam Turbulence” – When Sheldon won’t tell anyone why he’s never mentioned Tam (Robert Wu), his childhood best friend, Leonard takes matters into his own hands. 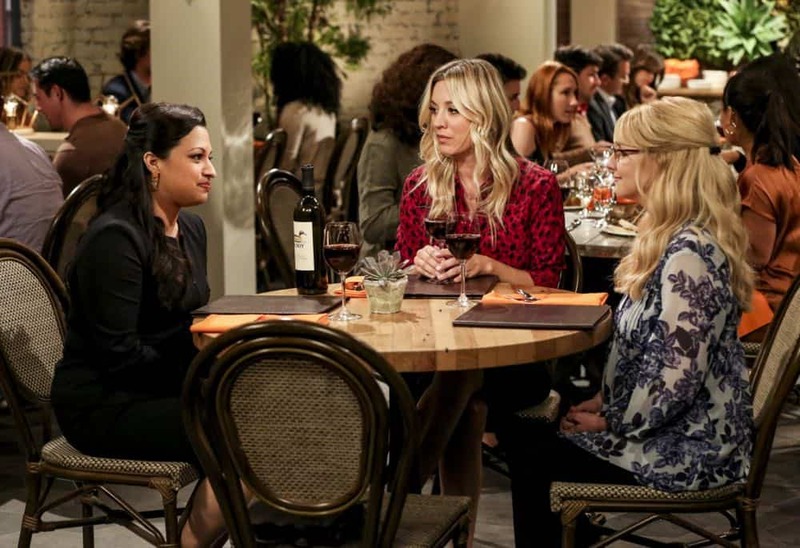 Also, Bernadette and Penny take out Raj’s fiancée, Anu (Rati Gupta), for dinner to get the skinny on her, on THE BIG BANG THEORY, Thursday, Oct. 11 (8:00-8:31 PM, ET/PT) on the CBS Television Network. Jerry O’Connell returns as Sheldon’s brother, George. 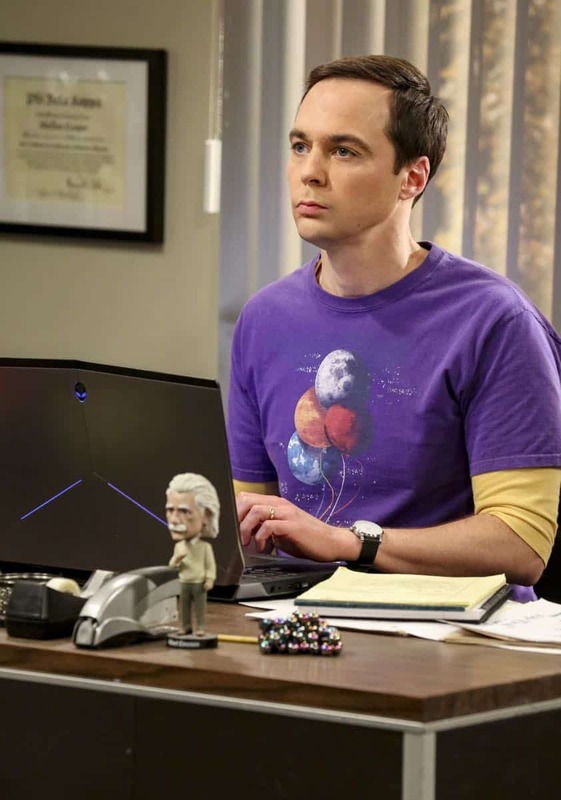 Leonard and Sheldon are brilliant physicists – geniuses in the laboratory but socially challenged everywhere else. Enter beautiful, street-smart neighbor Penny, who aims to teach them a thing or two about life. Despite their on-again, off-again relationship in the past, Leonard and Penny have finally gotten married. 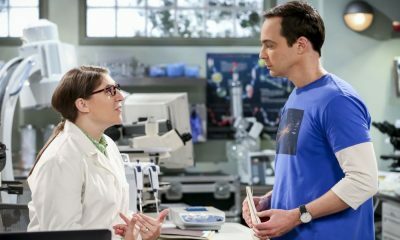 Even Sheldon has found a female companion, entering into a “relationship agreement” with neurobiologist Amy Farrah Fowler, and he recently took their relationship to the next level by marrying her after a long courtship. In their free time, Leonard and Sheldon enjoy fantasy role-playing games with their ever-expanding universe of friends, including fellow scientists Koothrappali, Wolowitz and Wolowitz’s adorable microbiologist wife, Bernadette, who is adjusting to life with their two children. “The Tam Turbulence” — Pictured: Tam (Robert Wu). 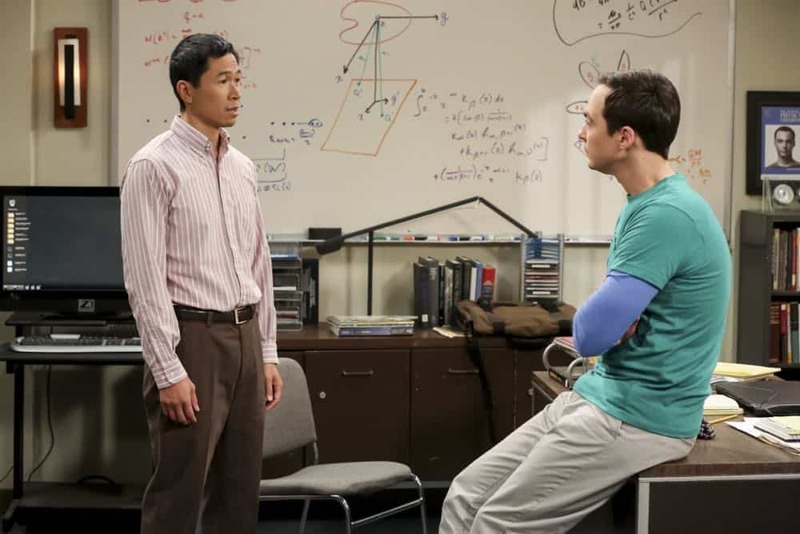 When Sheldon won’t tell anyone why he’s never mentioned Tam (Robert Wu), his childhood best friend, Leonard takes matters into his own hands. Also, Bernadette and Penny take out Raj’s fiancÃÂ©e, Anu (Rati Gupta), for dinner to get the skinny on her, on THE BIG BANG THEORY, Thursday, Oct. 11 (8:00-8:31 PM, ET/PT) on the CBS Television Network. Jerry O’Connell returns as Sheldon’s brother, George. Photo: Michael Yarish/CBS ÃÂ©2018 CBS Broadcasting, Inc. All Rights Reserved. 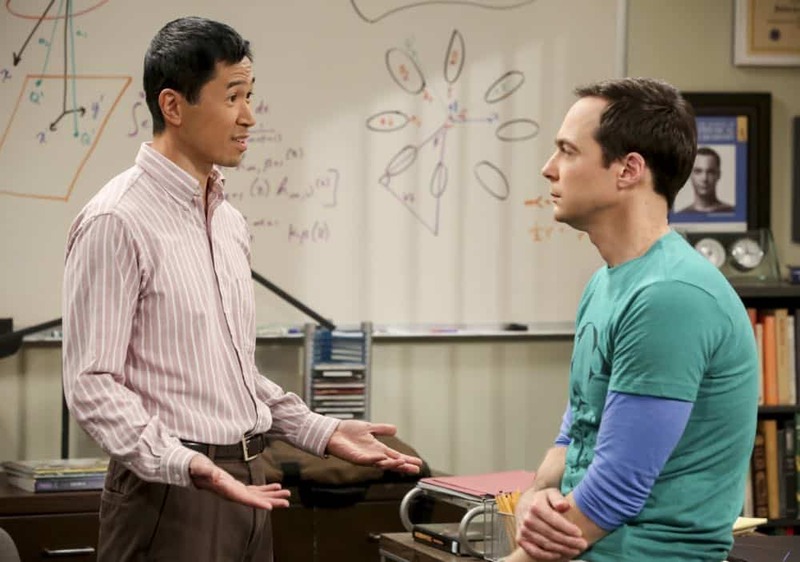 “The Tam Turbulence” — Pictured: Tam (Robert Wu) and Sheldon Cooper (Jim Parsons). When Sheldon won’t tell anyone why he’s never mentioned Tam (Robert Wu), his childhood best friend, Leonard takes matters into his own hands. Also, Bernadette and Penny take out Raj’s fiancÃÂ©e, Anu (Rati Gupta), for dinner to get the skinny on her, on THE BIG BANG THEORY, Thursday, Oct. 11 (8:00-8:31 PM, ET/PT) on the CBS Television Network. Jerry O’Connell returns as Sheldon’s brother, George. 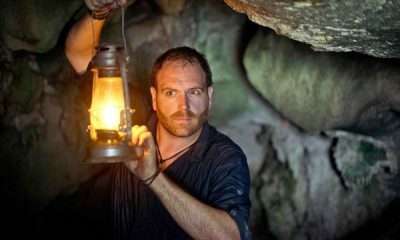 Photo: Michael Yarish/CBS ÃÂ©2018 CBS Broadcasting, Inc. All Rights Reserved. “The Tam Turbulence” — Pictured: Rajesh Koothrappali (Kunal Nayyar), Leonard Hofstadter (Johnny Galecki), Sheldon Cooper (Jim Parsons), Howard Wolowitz (Simon Helberg) and Tam (Robert Wu). 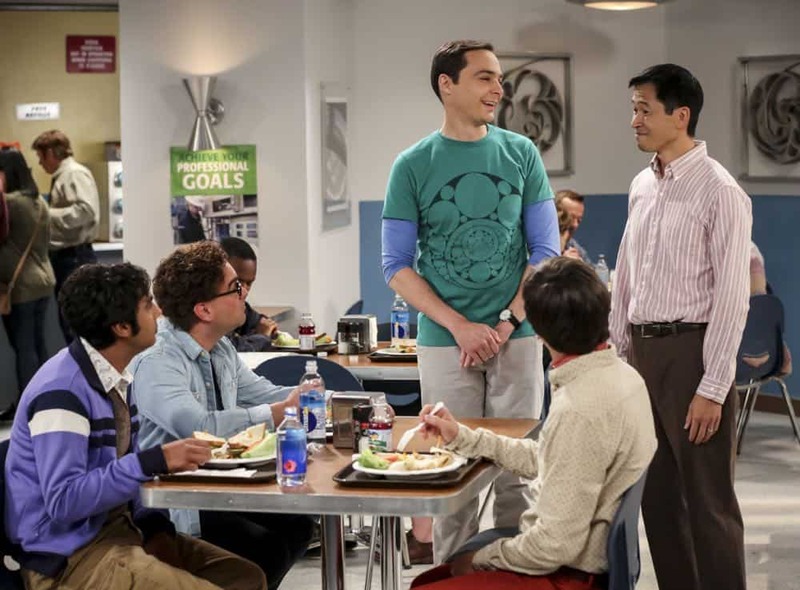 When Sheldon won’t tell anyone why he’s never mentioned Tam (Robert Wu), his childhood best friend, Leonard takes matters into his own hands. Also, Bernadette and Penny take out Raj’s fiancÃÂ©e, Anu (Rati Gupta), for dinner to get the skinny on her, on THE BIG BANG THEORY, Thursday, Oct. 11 (8:00-8:31 PM, ET/PT) on the CBS Television Network. Jerry O’Connell returns as Sheldon’s brother, George. 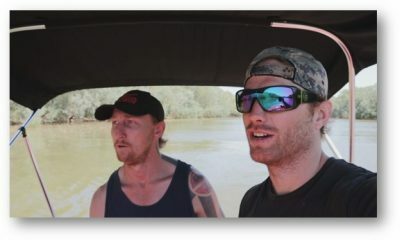 Photo: Michael Yarish/CBS ÃÂ©2018 CBS Broadcasting, Inc. All Rights Reserved. “The Tam Turbulence” — Pictured: Bernadette (Melissa Rauch) and Penny (Kaley Cuoco). When Sheldon won’t tell anyone why he’s never mentioned Tam (Robert Wu), his childhood best friend, Leonard takes matters into his own hands. Also, Bernadette and Penny take out Raj’s fiancÃÂ©e, Anu (Rati Gupta), for dinner to get the skinny on her, on THE BIG BANG THEORY, Thursday, Oct. 11 (8:00-8:31 PM, ET/PT) on the CBS Television Network. Jerry O’Connell returns as Sheldon’s brother, George. Photo: Michael Yarish/CBS ÃÂ©2018 CBS Broadcasting, Inc. All Rights Reserved. “The Tam Turbulence” — Pictured: Bernadette (Melissa Rauch). When Sheldon won’t tell anyone why he’s never mentioned Tam (Robert Wu), his childhood best friend, Leonard takes matters into his own hands. 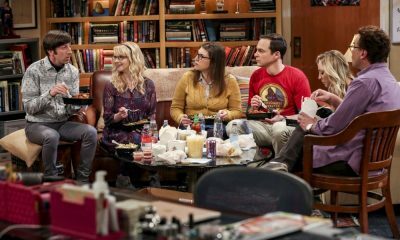 Also, Bernadette and Penny take out Raj’s fiancÃÂ©e, Anu (Rati Gupta), for dinner to get the skinny on her, on THE BIG BANG THEORY, Thursday, Oct. 11 (8:00-8:31 PM, ET/PT) on the CBS Television Network. Jerry O’Connell returns as Sheldon’s brother, George. Photo: Michael Yarish/CBS ÃÂ©2018 CBS Broadcasting, Inc. All Rights Reserved. 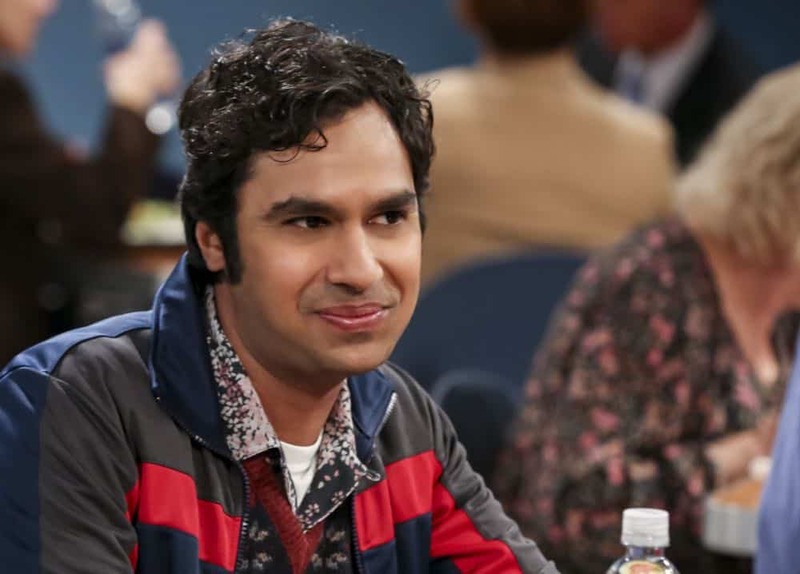 “The Tam Turbulence” — Pictured: Rajesh Koothrappali (Kunal Nayyar). When Sheldon won’t tell anyone why he’s never mentioned Tam (Robert Wu), his childhood best friend, Leonard takes matters into his own hands. 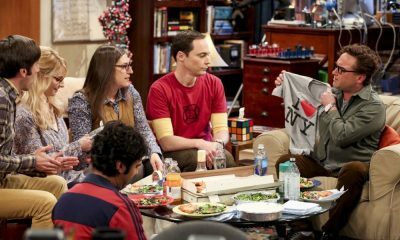 Also, Bernadette and Penny take out Raj’s fiancÃÂ©e, Anu (Rati Gupta), for dinner to get the skinny on her, on THE BIG BANG THEORY, Thursday, Oct. 11 (8:00-8:31 PM, ET/PT) on the CBS Television Network. Jerry O’Connell returns as Sheldon’s brother, George. Photo: Michael Yarish/CBS ÃÂ©2018 CBS Broadcasting, Inc. All Rights Reserved. “The Tam Turbulence” — Pictured: Anu (Rati Gupta), Bernadette (Melissa Rauch) and Penny (Kaley Cuoco). When Sheldon won’t tell anyone why he’s never mentioned Tam (Robert Wu), his childhood best friend, Leonard takes matters into his own hands. Also, Bernadette and Penny take out Raj’s fiancÃÂ©e, Anu (Rati Gupta), for dinner to get the skinny on her, on THE BIG BANG THEORY, Thursday, Oct. 11 (8:00-8:31 PM, ET/PT) on the CBS Television Network. Jerry O’Connell returns as Sheldon’s brother, George. Photo: Michael Yarish/CBS ÃÂ©2018 CBS Broadcasting, Inc. All Rights Reserved. “The Tam Turbulence” — Pictured: Leonard Hofstadter (Johnny Galecki) and Sheldon Cooper (Jim Parsons). When Sheldon won’t tell anyone why he’s never mentioned Tam (Robert Wu), his childhood best friend, Leonard takes matters into his own hands. 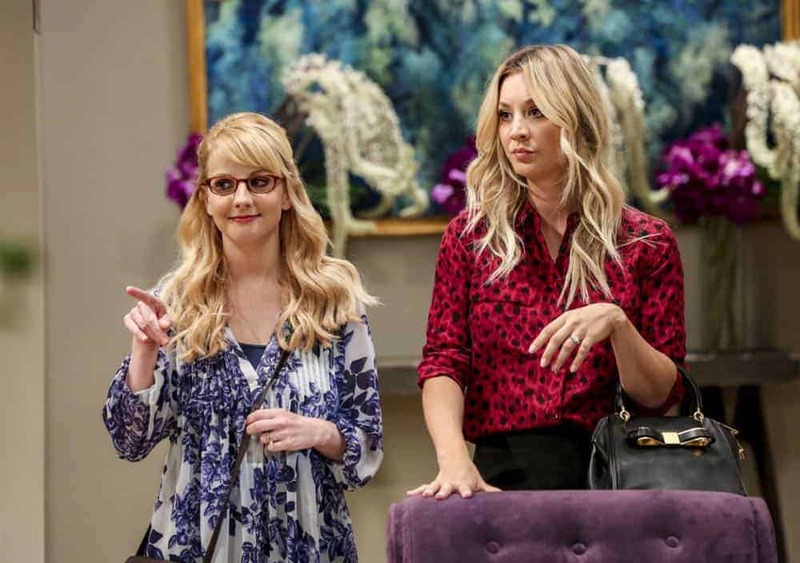 Also, Bernadette and Penny take out Raj’s fiancÃÂ©e, Anu (Rati Gupta), for dinner to get the skinny on her, on THE BIG BANG THEORY, Thursday, Oct. 11 (8:00-8:31 PM, ET/PT) on the CBS Television Network. Jerry O’Connell returns as Sheldon’s brother, George. Photo: Michael Yarish/CBS ÃÂ©2018 CBS Broadcasting, Inc. All Rights Reserved. 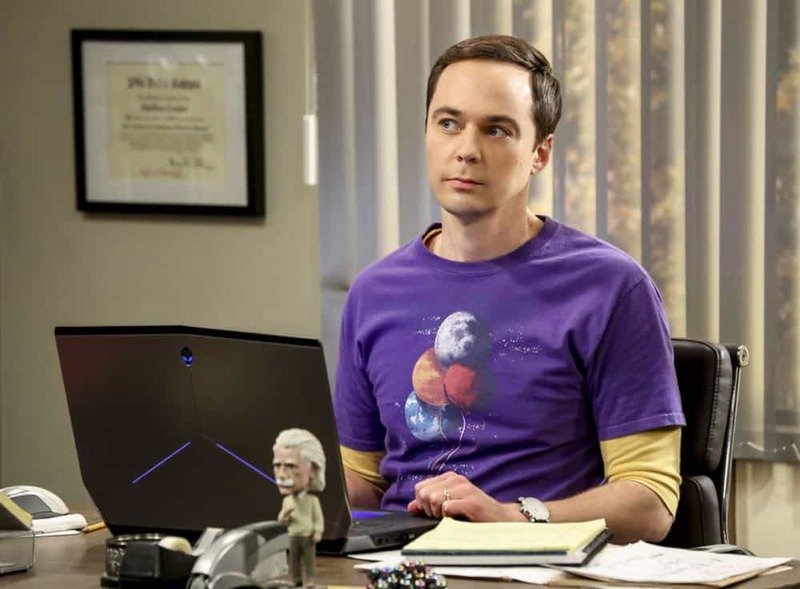 “The Tam Turbulence” — Pictured: Sheldon Cooper (Jim Parsons). When Sheldon won’t tell anyone why he’s never mentioned Tam (Robert Wu), his childhood best friend, Leonard takes matters into his own hands. 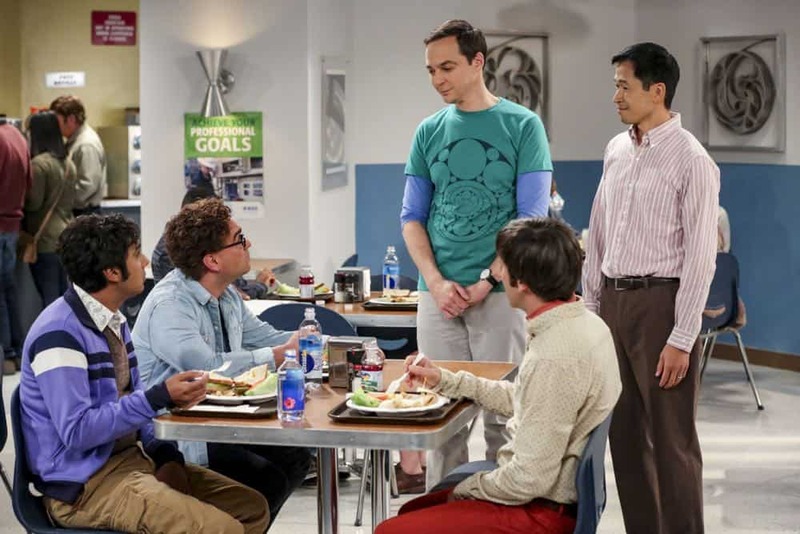 Also, Bernadette and Penny take out Raj’s fiancÃÂ©e, Anu (Rati Gupta), for dinner to get the skinny on her, on THE BIG BANG THEORY, Thursday, Oct. 11 (8:00-8:31 PM, ET/PT) on the CBS Television Network. Jerry O’Connell returns as Sheldon’s brother, George. Photo: Michael Yarish/CBS ÃÂ©2018 CBS Broadcasting, Inc. All Rights Reserved. “The Tam Turbulence” — Pictured: Anu (Rati Gupta), Penny (Kaley Cuoco) and Bernadette (Melissa Rauch). When Sheldon won’t tell anyone why he’s never mentioned Tam (Robert Wu), his childhood best friend, Leonard takes matters into his own hands. 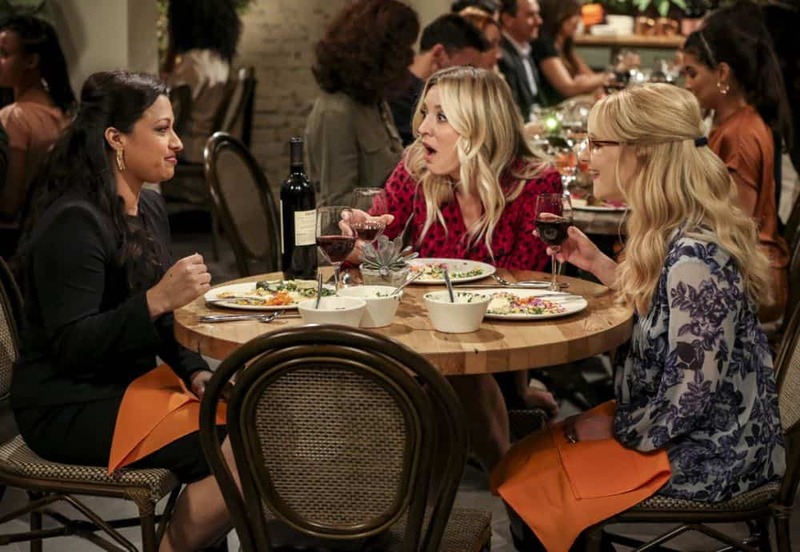 Also, Bernadette and Penny take out Raj’s fiancÃÂ©e, Anu (Rati Gupta), for dinner to get the skinny on her, on THE BIG BANG THEORY, Thursday, Oct. 11 (8:00-8:31 PM, ET/PT) on the CBS Television Network. Jerry O’Connell returns as Sheldon’s brother, George. Photo: Michael Yarish/CBS ÃÂ©2018 CBS Broadcasting, Inc. All Rights Reserved.